Students from the University of Geneva Summer School programme made a visit to the UN in Geneva recently. Thanks to @unisgeneva for posting this and more on their Twitter account. Four friends arm in arm, here at the Zaatari refugee camp in Jordan close to the Syrian border. They are all ready for school, equipped with UNICEF bags and determined to keep learning. Thanks to @UNICEF for posting this and more on their Twitter account. Learn about sexual violence in conflict and see how it affects all parts of society. Thanks to the UN Office on Sexual Violence in Conflict (@endrapeinwar) for posting this infographic and more on their Twitter account. World Food Programme Executive Director Ertharin Cousin visited a nutrition project in Swat Valley, Pakistan recently where she called for renewed efforts to address the food and nutrition needs of people affected by displacement, natural disasters and poverty in the region. Thanks to @WFP for posting this and more on their Twitter account. Around 60 women from across India met in New Delhi recently to share their experiences of being single women — whether widowed, divorced or unmarried. They use puppetry to communicate their most private experiences of stigma and discrimination. Thanks to @UN_Women for sharing this and more photos on their Flickr account. 11-year-old Emmanuel wants to be a meteorologist. Watch how he got his start forecasting Hurricane Sandy and learn why that’s so remarkable in this video. Thanks to UNICEF for posting this and more on their YouTube account. Ban Ki-moon to graduating students: “change the world” through global citizenship and help the United Nations respond as “one human family” to major international challenges. 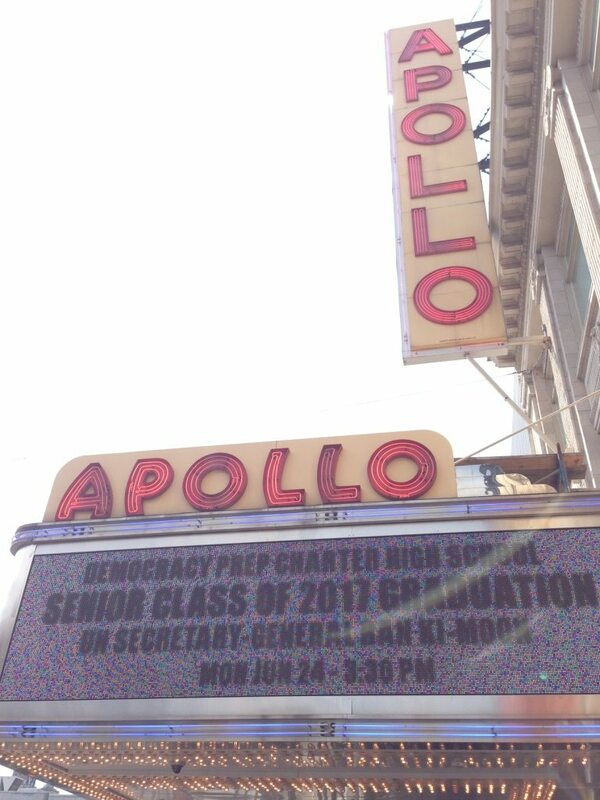 Read more about the event and see what else he said at @DemocracyPrep (the network of public charter schools in Harlem, NY) on Twitter. Thanks to them for sharing! World Food Programme Executive Director Ertharin Cousin briefed Pope Francis recently on the needs of families in Syria and Palestine. Thanks to @WFP for posting this and more on their Twitter account. Colorful women and children welcomed UNDP Administrator Helen Clark to Tanzania where UNDP supports livelihoods and environmental development. Thanks to @HelenClarkUNDP for posting this and more on her Twitter account. The UN Special Representative of the Secretary-General for Iraq Martin Kobler ended his mission in Iraq recently with a visit to Babylon and the words: “Culture is Iraq’s most precious resource”. Thanks to the UN Assistance Mission for Iraq (@UNiraq) for posting this and more on their Twitter account. Might refugees be getting a new home? 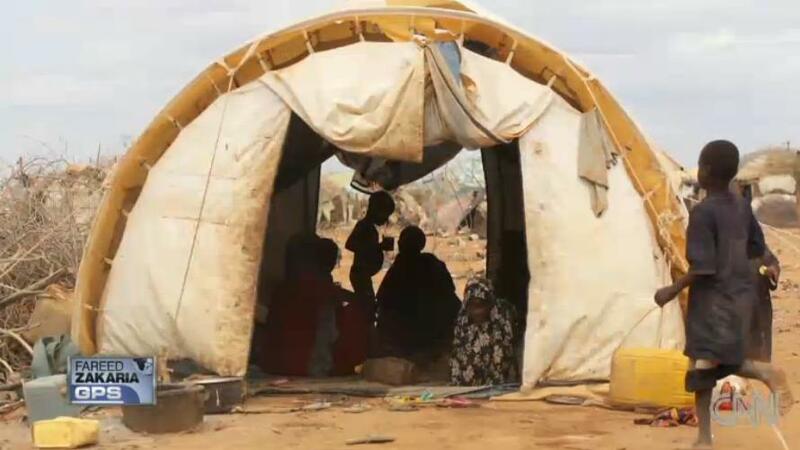 The IKEA Foundation teams up with the UN Refugee Agency to build a new shelter. Watch CNN explain how this is made possible. Thanks to the UN Refugee Agency (@Refugees) for posting this and more on their Twitter account.